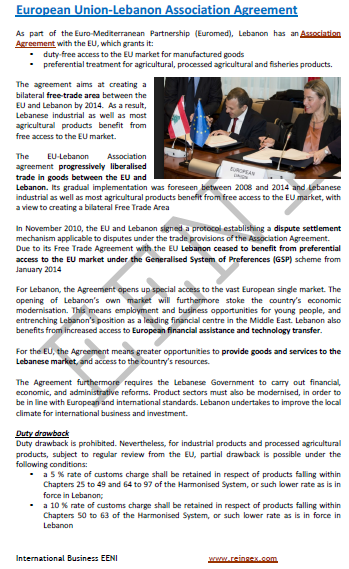 Syllabus of the Online Course (Subject): Euro-Mediterranean Partnership (European Union). 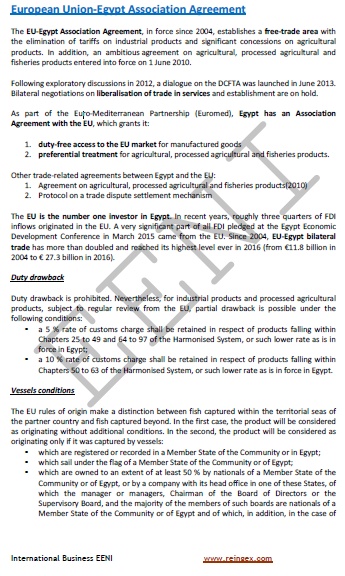 The objective of the Union for the Mediterranean (Barcelona Process) is the economic integration development and democratic reform across sixteen neighbours of the European Union in North Africa and the Middle East. The members of the Union for the Mediterranean are the twenty-eight European Union member economies, Albania, Algeria, Bosnia and Herzegovina, the Arab Republic of Egypt, Israel, Jordan, Lebanon, Mauritania, Monaco, Montenegro, Morocco, the Palestinian Authority, Syria, Tunisia, and Turkey. As we can see, all the countries, except Montenegro and Israel, has Muslim majorities. 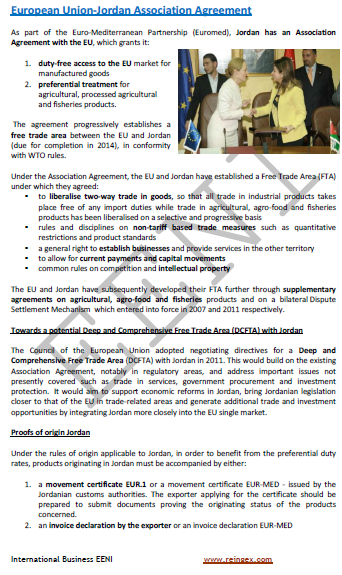 The main objective of the partnership agreement is the creation of a deep Euro-Mediterranean Free-Trade Area, which aims at substantially liberalising bilateral trade between both the European Union and Southern Mediterranean countries and Southern Mediterranean countries themselves.